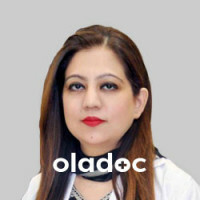 Dr. Mariam Iqbal is a fellow of the ‘College of Physicians and Surgeons of Pakistan’ (FCPS) and holds a Masters certification in Hysteroscopy from the Keil School of Endoscopy, Germany. To perfect her credentials, she attained a Masters in Health Professions Education (MPHE) from the Aga Khan University, Karachi. 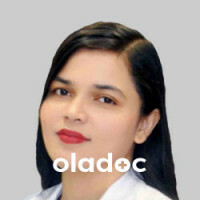 She has over 14 years of experience in the field of Gynaecology and Obstetrics. Throughout the course of her career, she has had the pleasure of working with the biggest hospitals in the country, including Liaquat National Hospital in Karachi and Services Hospital, Lahore as well as Nishtar Hospital, Multan to name just a few. She also worked on projects in collaboration with NCMNH, AMAN foundation and Jhpeigo. 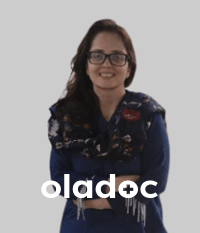 She is currently working as a Consultant Obstetrician and Gynaecologist at Hameed Latif Hospital and has been part of the ‘Minimally Invasive Gynaecological Surgery Unit (MIGSU) team’ and Rashid Latif Group of Gynaecologists. She is also an Assistant Professor at the Rashid Latif Medical College and Arif Memorial Teaching Hospital, and adjuvant faculty at the Department of Medical Education at the same hospital. Currently she is practicing general gynaecology and obstetrics including high risk pregnancy and subfertility. Her special interests include Gynaecological Endoscopic Surgery and Aesthetic gynaecology for which she got training in Slovenia and is now doing procedures at the Aesthetic Uro-Gynaecology Unit, Hameed Latif Hospital. She has facilitated and conducted many workshops and is the course coordinator for MIGSU courses. Her research experience is extensive. She has co-authored a chapter in a book and has many published research papers to her credit. Dr. Mariam’s extensive training and experience is matched by her attentiveness and sensitivity to the needs of individuals experiencing issues related to Obstetrics and Gynaecology. She offers a variety of treatment plans that will best fit your lifestyle needs. Her professional experience has allowed her the opportunity to work in her professional field in a variety of clinical settings. Dr. Mariam Iqbal is a bridge builder, pathfinder and visionary who inspires people to celebrate their choices, changes and connections.